Colored with a new background picture with interesting facts all over the world, Bing.com, Microsoft’s new “decision” search engine, truly stands out for its purpose of aiding decision making. The “Tour Bing” link in the top left corner of the home page is a great place to start for first time users and those who want to find out all the features and shortcuts Bing offers. Since many features are specifically for Microsoft account users, those who do not have a Live account may find it useful to create one. Other first time options are available in the preferences, located in the top right corner. Users can make adjustments to their location, security settings, and result listings. Bing offers categorized search options on the home page from the left column. When clicked, these categories, such as “Shopping” or “News, expand to more subcategories to further narrow the search. Bing offers more than just search results. Many popular searches, most of which are related to buying decisions, have detailed information that will help users make the right choice and save money without spending hours on every website comparing prices and other features. A search for “laptop”, for example, will display a “Shop for laptop” link at the top of the search results. Users can limit the results by brands or prices, view buying guides, and compare laptops on ratings like speed and ease of use. The search results show the image, price, and description of the laptops that match the requirements chosen. Users can also research and compare compare businesses, like hotels, restaurants, and stores. The keywords “restaurant cincinnati”, for example, will display “Listings for restaurants near Cincinnati, OH” above the search results. A map of Cincinnati on the left shows the location of each restaurant with a corresponding number to the list of restaurants to the right. Each restaurant lists their phone number and links for the restaurant’s website and directions. The name of each restaurant links to a short description including reviews, prices, amenities, and more contact information, etc. 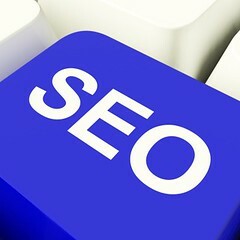 Bing.com offers a variety of shortcuts accessed by typing certain keywords into the main search bar. “Traffic” and “weather” will show local information as the first result. Flights and packages can be tracked by typing flight or shipping number. A sequence of several ticker symbols followed by the word “quote” will list stock information for each symbol in a small table. Basic math questions and conversions, like “how many liters in a gallon” will display the answer at the top of the search results. Bing has several interactive features that are convenient to users. The websites listed in search results have a hover icon along the right side of the entry which brings up a summary and related links. Images will display their size, name, and a “related images” link when users hover on them, and videos listed in Bing results will begin playing when hovered. Some users will find Bing.com and its features more helpful than others. Bing’s many features will only display for popular searches, and basic information, and it becomes just another search engine when more obscure, unique or research-related searches are performed. Like any other search engine, Bing.com shows search results of related websites, so it is still useful when features aren’t shown. As it’s nickname, “the decision engine” suggests, Bing.com is most useful for shopping, traveling, and other decision-related searches. Written by Hannah Miller, Director of Online Marketing and Customer Service Rep, Copper.net. Copper.net is a nationwide Internet Services provider that is all-American owned and operated. Call today, 1-800-336-3318 or sign up online. Check out my blog for this and more great articles! http://www.copper.net/wire.